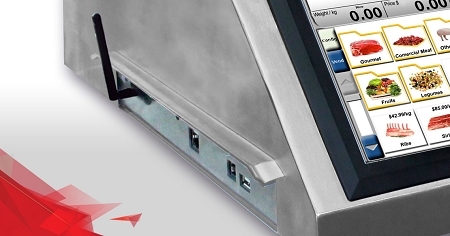 As the ultimate weighing machine, this scale provides accurate measurements for items up to 40 lbs. The durable stainless steel weighing plate measures 15" x 12" providing ample room for a wide range of products like vegetables, fruits, meat, candy, and more. 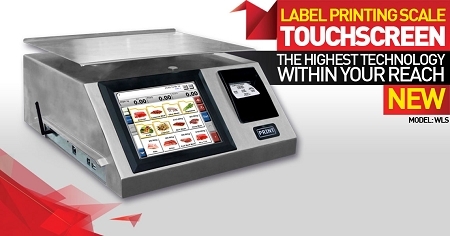 For your convenience the scale includes 1 roll of thermal paper and 1 roll of thermal labels. 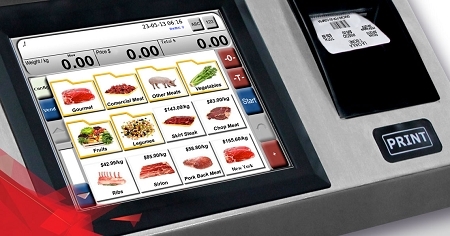 This Wi-Fi label printing scale will increase the efficiency of your butchery, supermarket, candy shop, bakery, or restaurant, which in turn will increase your sales and ultimately profits. Platter Size: 15" x 12"
Product advertising, and thermal printing. App available for download in Appstore for the Ipad.